A lot has been said about Search Engine Optimisation – and a lot is still going to be said as search engines, especially when Google keeps rolling out algorithm updates. 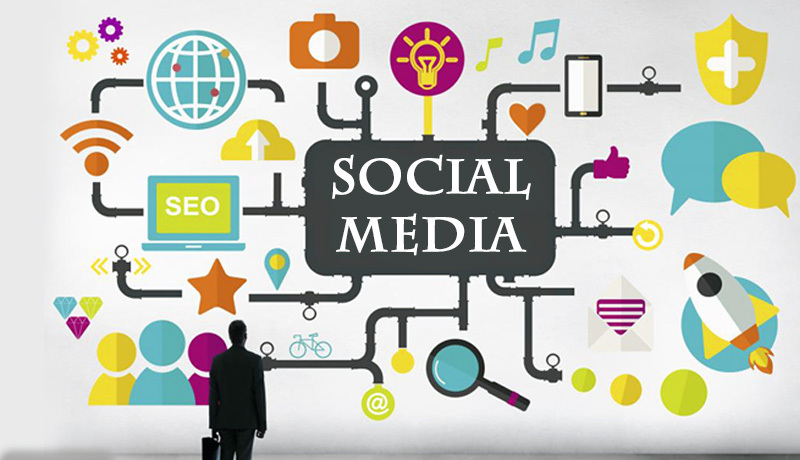 Today, we are not going to be talking about SEO; we will be talking about Social Media Optimization (SMO). Social Media Optimization (SMO) techniques are not new in digital marketing; however, the name is not as popular as Search Engine Optimisation. To define it, Social Media Optimization refers to all the tactics (and strategies) used in ensuring social media accounts of a business generate enough buzz that could sell its products and services and also bring traffic to its website. Here are the five Social Media Optimization techniques that would put you ahead of your competitors and increase your brand awareness and sales. It is not uncommon that some well-designed business websites do not have social media icons integrated; some have the icons integrated, but the icons point to invalid social media profiles or wrong social media profiles. This is not a good practice, and if your business website does not have social media integrated, you are missing a lot. First, you are not providing an avenue whereby people that love your business can follow keenly. Second, you are missing the backlinks from these social networks. By putting social icons on your website and putting your website URL on your social media profiles, you would earn no-follow backlinks, which indirectly impact your website’s ranking on Google. Moreover, if your social media account is well optimised, they would pop out on Google when people search for your brand name. Another side of social media optimisation technique that is related to integrating social icon into your website is adding social media sharing buttons to your blog page. Doing this would allow people easily share your posts and that would likely bring in more traffic to your website. The more the information you provide about your business on social media, the more people get to know what your business does. So it is good you do not leave any stone unturned in completing your social media account profiles. You should provide all the necessary information in the profile of each of the social media account you registered on, and ensure the information is consistent throughout all the social media accounts. As for the profile photo, it is recommended you use the logo of your business; if you do not currently have a logo, it’s high time you hired a good logo designer as that’s one of the branding techniques that would make you stand out among your competitors. The cover photo of your social media account should be of high resolution and professionally portray your products and services. Most importantly, you should follow the recommended resolution for each social network’s profile picture and cover photo. Besides having social media accounts with filled profile and good images, the Social Media Optimisation technique that would put you ahead of your competitors is developing and implementing a posting schedule. The posting schedule allows you to consistently share relevant contents with your followers and engage them with your products and services. It builds your relationship with them, shows them you are good at what you do, makes them visit your website, and makes them patronise your business. Hashtags are a way of categorising related posts on social networks. Lots of social media users use hashtags to find what they are interested in. So by researching trending hashtags in your industry and using them when sharing posts on social networks, you increase the chance of making people who are not following your accounts see your posts. The caution about hashtags is that you should not go overboard by stuffing your posts with too many hashtags – as too many hashtags would overshadow the texts carrying the message in your posts. You should use only the very relevant hashtags – especially on Twitter and Instagram. Hashtags are not so effective on Facebook. You should also create personalised hashtags for your brand, too. Your followers would soon come to identify with the hashtags and might start using them while sharing posts about your products and services. That gives way to user-generated content. The time a post is shared impacts its impression, reach, and engagement. Imagine sharing a post at 3 AM, when everybody is sleeping; only a few people would see the post. So one Social Media Optimisation technique you should try is experimenting with different posting time and see the time your posts have the highest impression, reach, and engagement. The prime time that most people are online on social media is from 6 PM to 10 PM when they would have come back from work and school. However, depending on your followers, the prime time might be different; so experimenting with different posting time – or using paid social media management software that could analyse when followers are online – would help you determine the best time to post. In-built analytical tools like Facebook Page Insight, Twitter Analytics, etc., also provide some insight into the best time to posts. Apart from finding the best time to post, you should also use tools like Google Analytics UTM codes and URL shorteners to determine which social media sharing channel is bringing the highest traffic to your website. Well-optimised social media accounts not only give your business a strong online presence that translates into awareness and sales but also helps you build a formidable brand that’s ahead of your competitors. By following the above tested-and-trusted Social Media Optimization techniques, you can get to the level of being formidable and having a strong online presence in no time. If you need further assistance on bespoke digital marketing strategies or require help on implementing the tips provided here, do contact us and one of our experts will be in contact.